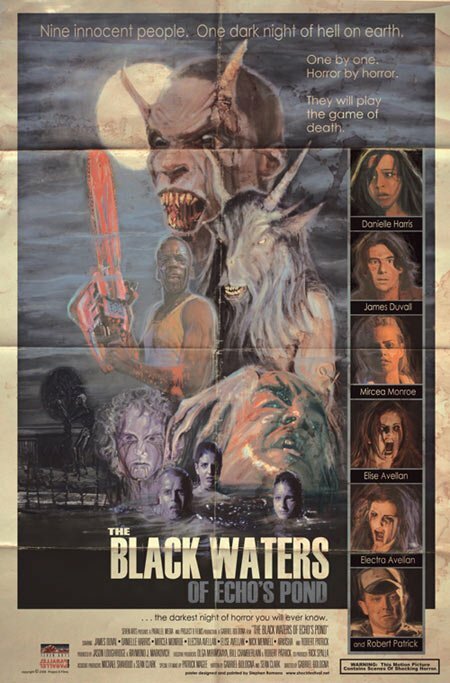 I thought I was pretty much over aged horror posters that mimicked posters from decades past. The concept has been used too many time since Grindhouse, sometimes with silly results. 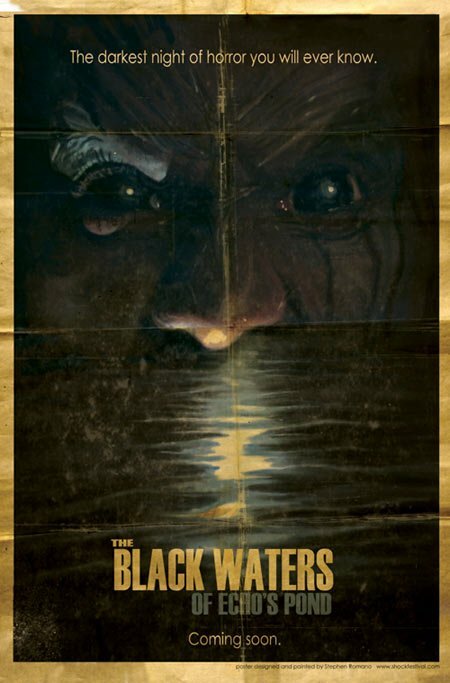 But it seems I was wrong, because here are two new aged posters for The Black Waters of Echo’s Pond and I’m really digging them. I think it’s mostly the authenticity that got to me, both of the actual design and illustrations used and of the aging itself. It really does feel like posters for an old horror movie that have been sitting in a damp basement for too long. The fact that they don’t go for a grindhouse style, it looks like a more mainstream 80’s flick, also helps. Of course, the films that got this type of poster were often not very good. And the sheer authenticity of the posters might very well be a turn off for modern audiences, so I’m not sure how well these will work as marketing materials. But for someone with a sweet spot for old horror movies and their posters like me these two looks great, and I’m sure at least a few people will get equally strong positive impressions. I thought the exact same thing and wrote about them on my blog. I think they’re the most retro looking posters in a very long time. Much more than the “Grindhouse” posters, even. Do you mind if I quote a few of your articles as long as I provide credit and sources back to your weblog? My website is in the very same area of interest as yours and my visitors would really benefit from a lot of the information you provide here. Please let me know if this ok with you. Many thanks!